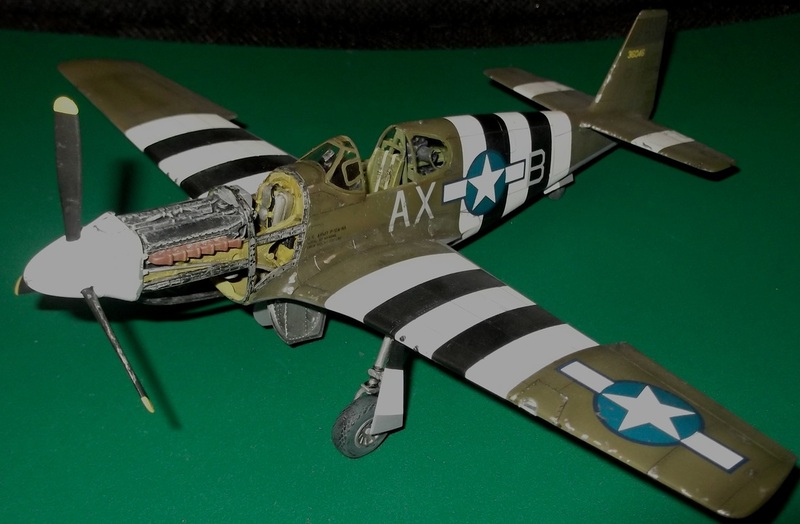 This kit is the Accurate Miniatures 1/48 F-6B Photo Recon Mustang, kit #48010. Resin Allison engine detail is by Verlinden. 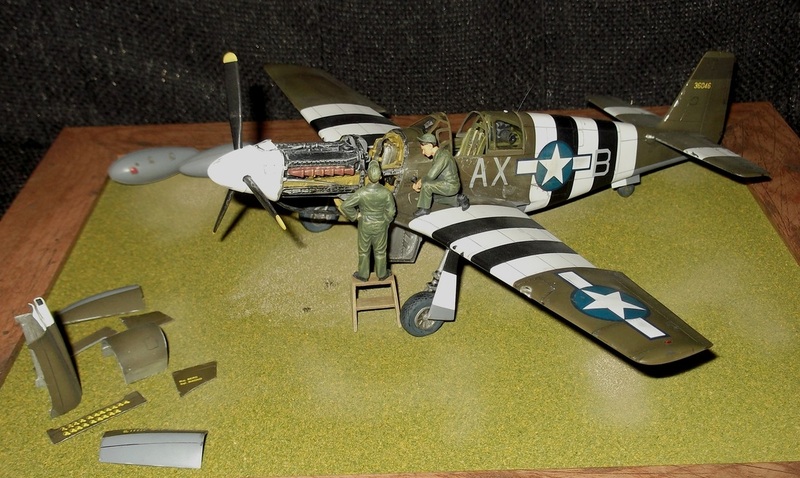 I’ve kept the weathering to a minimum as I wanted to depict a scene just prior to D-Day with a final service and newly painted Invasion stripes ready for the big day! 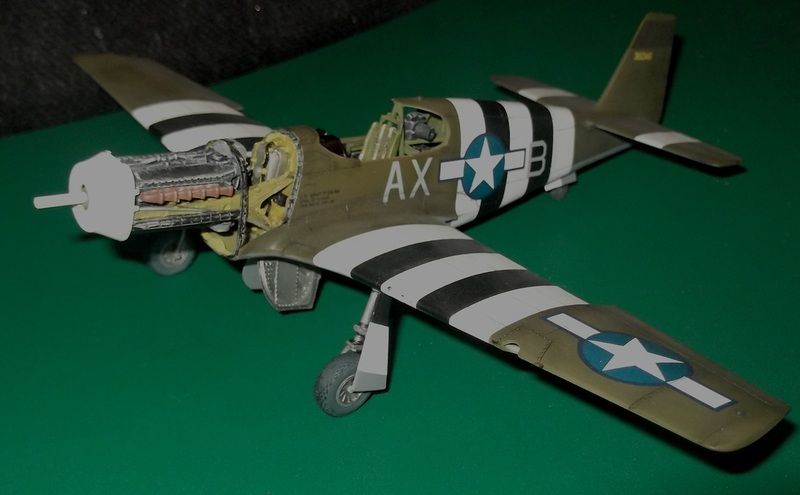 From what I can gather these aircraft were quite heavily utilised and played a vital role during the D-Day landings, relaying up to date information on troop movements, enemy positions etc. 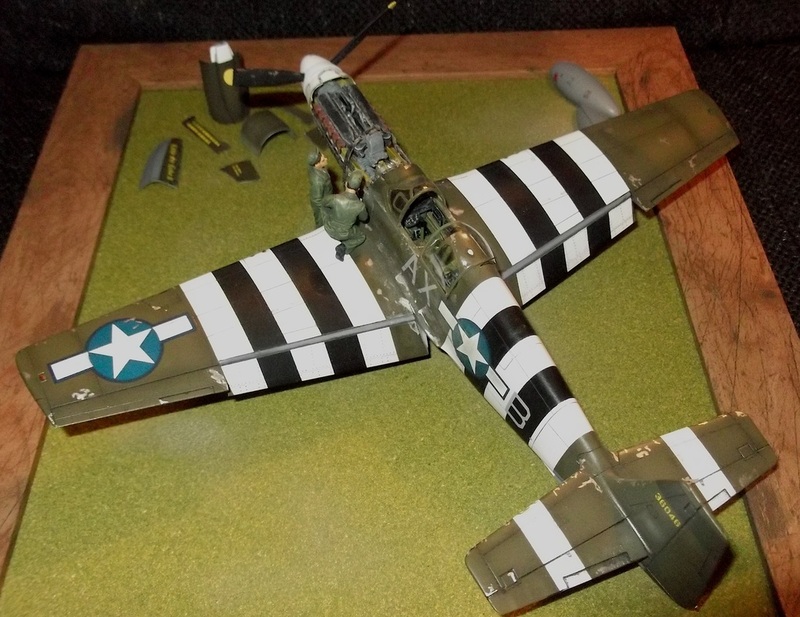 Apparently the upper invasion stripes were over painted with fresh olive drab shortly after D-Day. 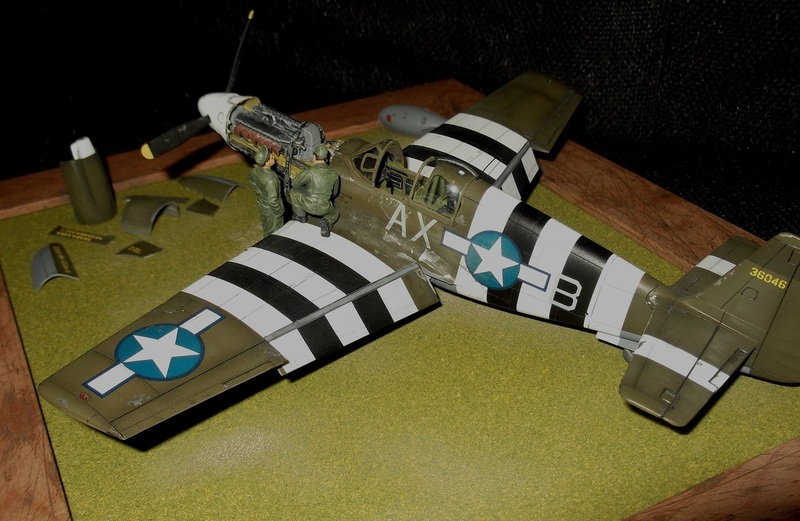 Airframe is sprayed with Tamiya acrylics. 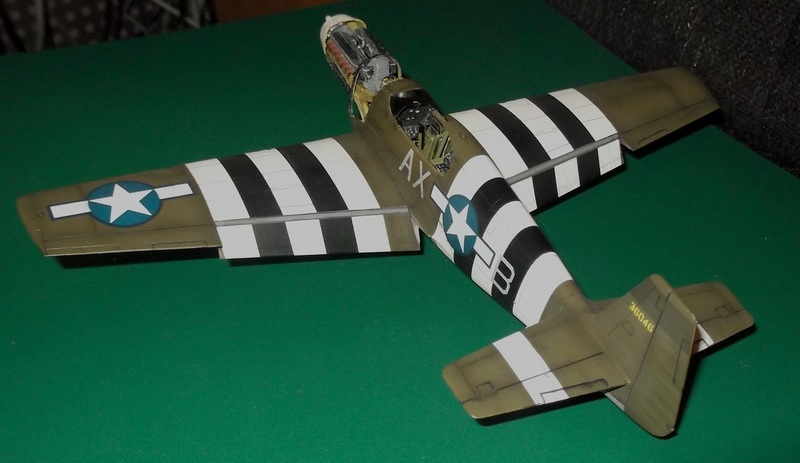 All masking done with Tamiya masking tapes. All internal and detail painting is brush painted with Humbrol enamel. Flaps removed from wings and repositioned in dropped position using sprue to tidy up the cut face on the flaps. Kit decals used and bedded down nicely with micro set,- sol was a bit too aggressive. Clear parts attached with Micro Kristal Klear. Front canopy took a bit of adjustment with a file, for best fit. Paint chips done with Pentel silver gel pen. The ballpoint does nice fine lines. Base was made from a cheap photo frame from The Warehouse, glass etc. removed and piece of 6mm MDF was used in it's place. This had a piece of grass mat stuck to it and this was then airbrushed in brownish patches to try and break up the green! Drop tanks are kit parts with moulded on sway braces removed and modified to replicate mounting points. 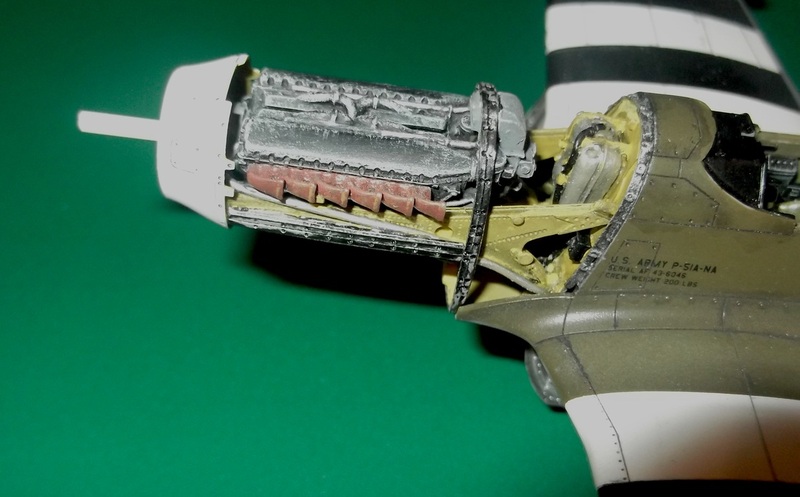 Cowlings are a mixture of modified kit parts for the lowers and resin replacements for the top two. 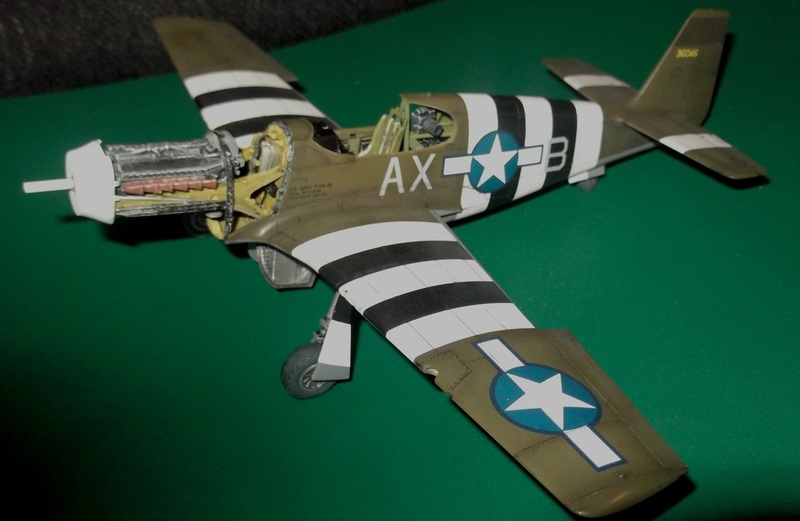 The aircraft was finished with a vacform "Malcolm Hood" canopy in place of the over thick kit part, a piece thin guitar string for the whip aerial and a light dusting of pastels for the exhaust staining. 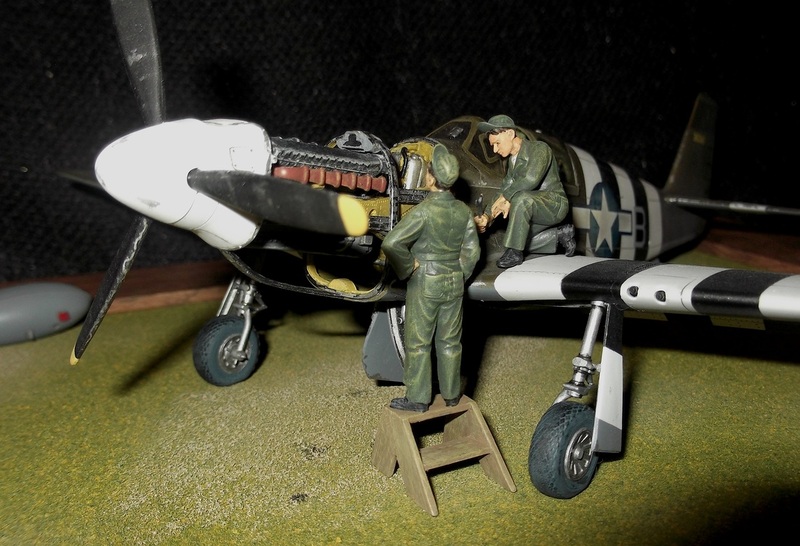 The two mechanic figures came from an ICM P-51B kit. 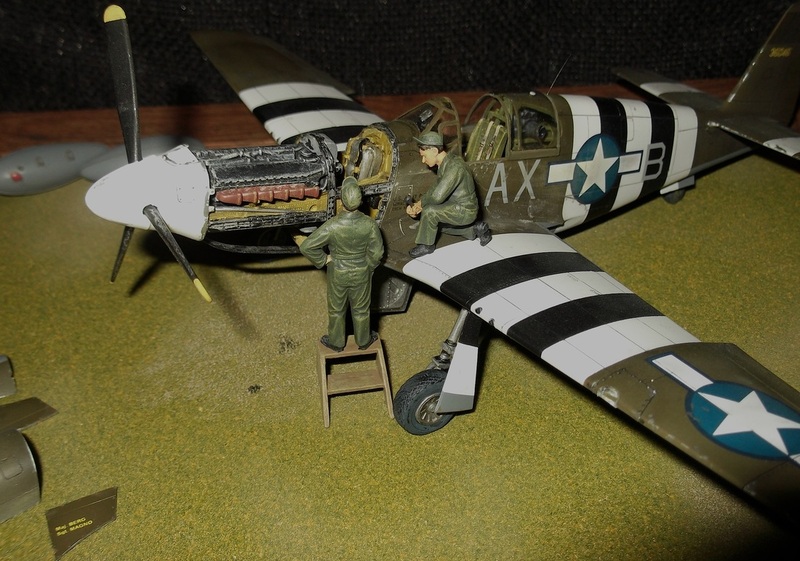 The scene depicts F-6B TAC RECCE Mustang "Little Sir Echo II" the mount of Major Russ Berg having a final service on the 5th of June 1944 prior to the D-Day invasions on the 6th. 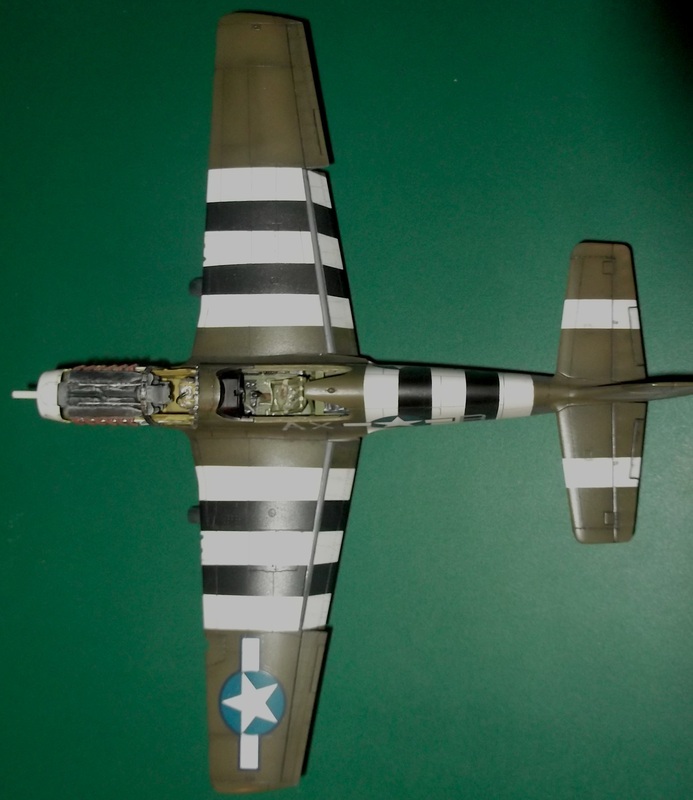 The freshly painted invasion stripes are barely dry and a stark contrast to the weathered finish of the rest of the aircraft. 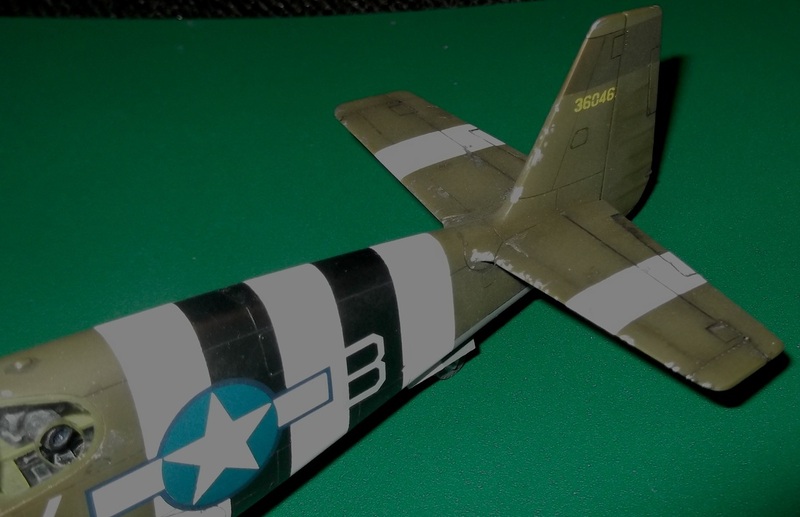 Due to the success of the invasions, the need for the stripes was diminished and in late June a directive was issued to remove the stripes from the upper wings and fuselage. 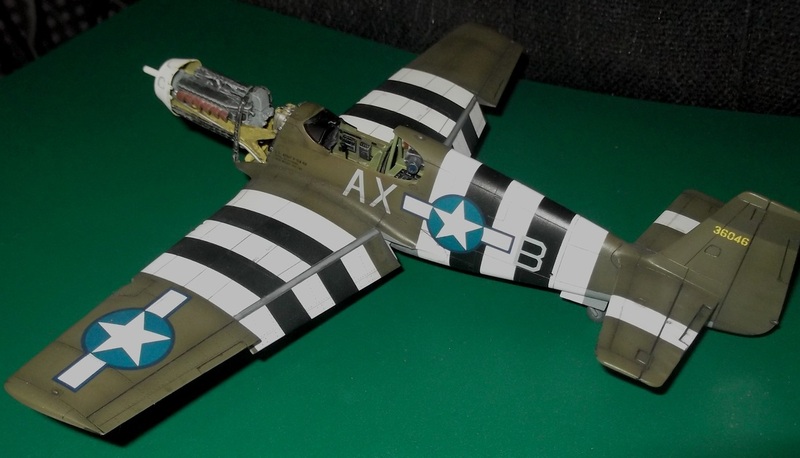 During late August to early September 1944 the stripes were removed from the wings altogether and by December the stripes were to be removed from the fuselage as well but this was a low priority and many aircraft could be seen with the remaining stripes in a very weathered condition.